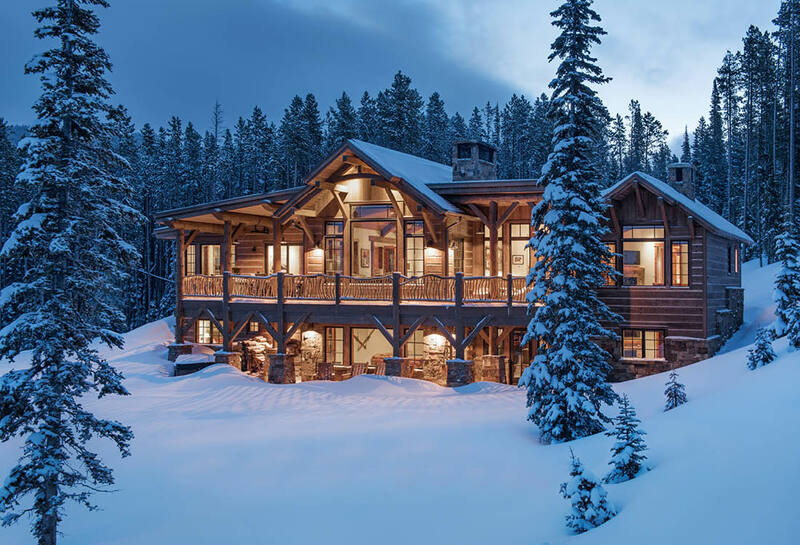 This rustic mountain home get-away is located in the ski-in ski-out neighborhood of Cascade in Big Sky, Montana high up in the Rocky Mountains. Dovetail Construction, the general contractor, did an excellent job with the fine details of this home. 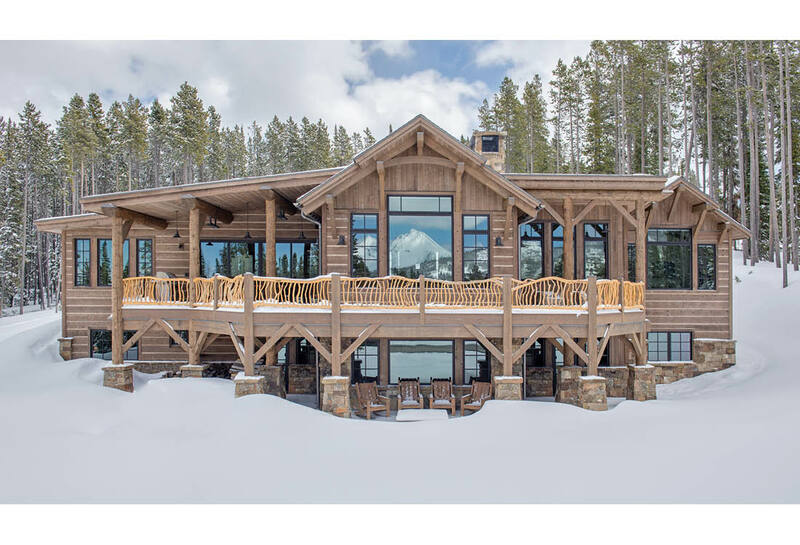 From the custom crafted handrails, rustic wood siding, beautiful interior timbers and logs, and exterior stone siding this home exemplifies a rustic mountain home retreat. 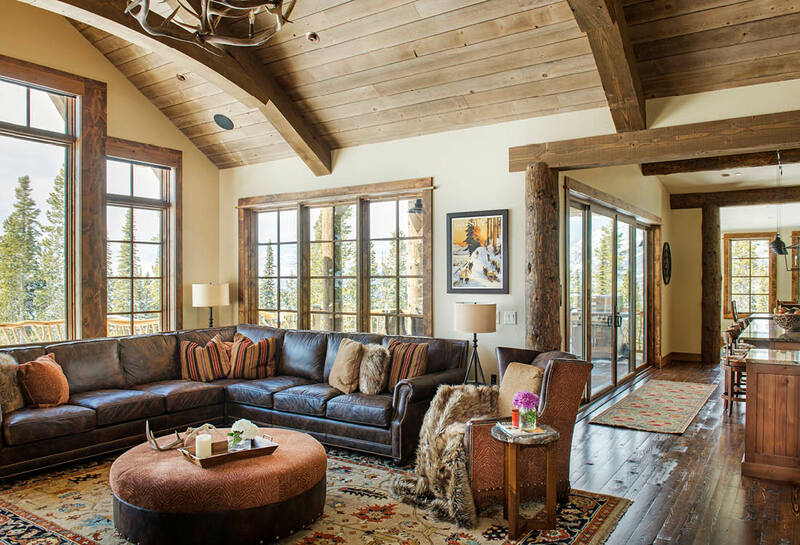 The large glazing in the Great Room, Dining, and Kitchen and the open floor plan are modern touches to help with natural lighting and giving the home a more expansive feel.